Your life is busy and complicated, but hopefully also fun. In this section you can find things to do and places to go and also information about safety, your rights, housing, the law and more. 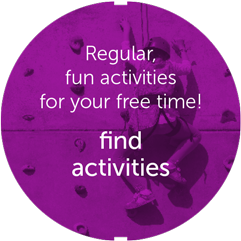 Activities Oxfordshire lists activities, services, clubs and other things to do and places to go for young people aged 13-19 (up to 25 with learning difficulties and disabilities). The Anti-Bullying Competition Winners have been announced! Take a look at the winners here! Oxfordshire, a great place to grow up and have the opportunity to become everything you want to be.